The death of a family pet brings much sorrow, especially when you have had this precious pet as part of your family for seventeen years. My 13 year old grandson lost his beautiful Rottweiler that he has had his entire life. My daughter and her husband,(then boyfriend), at the time they got Jake; (that’s the beautiful pets name), they were just dating. Jake has been a part of their family even before they became a family! He was such a loyal companion. When Dalton was just a baby learning to crawl; I can remember him laying on top of Jake in the middle of their LR floor, Jake just laying there with Dalton crawling all over him. He had his ears pulled, his nubby little tailed pulled, and he got lots of sloppy kisses and lots of hugs from a little toddler! 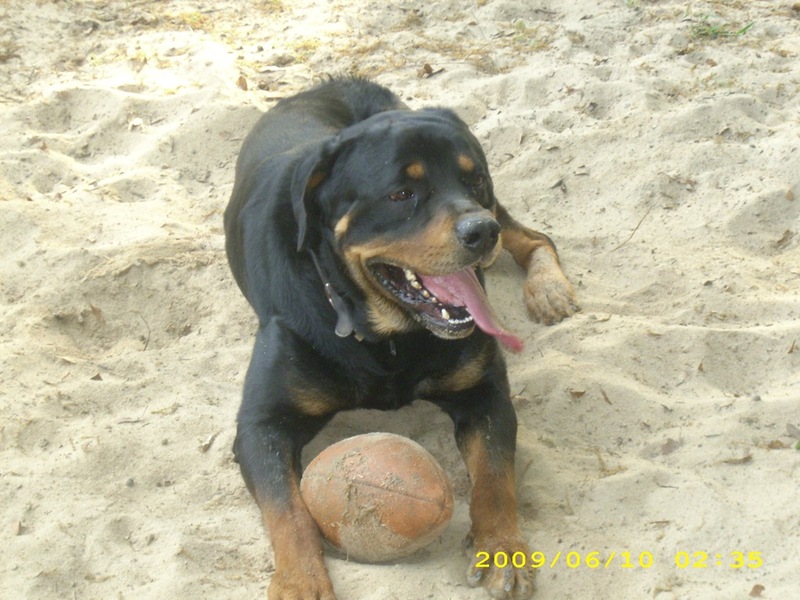 He never once snapped at him or any other child to my knowledge, he was just a laid back sweet Rottweiler that was loved by his family and he loved them too! Dalton went out to check on him and give him water like he did several times a day due to the heat and due to the fact that Jakes health was failing and Dalton kept an extra check on him. When he called to tell me about Jake passing away it was very sad. He took Jakes death just like we all knew he would. He loved Jake very much, really almost like you would a brother or maybe a best friend, I think would be a good way to describe his love for him. Jake was a great friend and companion for Dalton. I have always said, your dog will love you and will stand by you when no one else will! Many times in my own life that has proven to be true. I know that it will take a while for my precious grandson to get over Jakes death and from time to time he will think of him. He has some wonderful memories of him and Jake and that will help. Jake is in Heaven now and he’ll be watching over Dalton, watching him grow into a wonderful handsome man and he’ll be proud! So sorry to hear about Jake. I know it was a terrible loss for your family. Pets become such a part of our lives. Thank you for your visits to my blog and being a part of my site. Aww, what a sweet boy Jake was. The relationships between children and pets is so special. My young boys have already experienced the death of two of our dogs (my “furbabies” before I had any two-legged babies) and we were just honest and open with them about it, even when we had to euthanize the first one that passed away. Imagine Cal as a kindergartner explaining “euthanasia” to other 5 year olds (we focused on our responsibility as caretakers of our pets, including the responsibility to make sure they are not suffering). It is so sad when we lose a beloved pet, but it is such a learning experience for children. Death is a part of life and learning to grieve and honor the memory of pets is good practice for when they will inevitably lose a human they love. Man, dogs are the BEST. My heart goes out to Dalton and your family for this loss. Love the picture of Jake with his ball.